The Cambridge Encyclopedia of Child Development remains the most authoritative and accessible account of all aspects of child development. Written by an international team of experts, its comprehensive coverage includes everything from prenatal development to adolescence, pediatrics, theories and research methods, physical development, social and emotional development, perceptual and cognitive development, language development, psychopathology, and parenting. The second edition has also been thoroughly updated to reflect major developments over the last decade in areas such as neuroscientific methods, developmental cognitive and social neuroscience, the effects of environmental influences on gene expression, and the relationship between human development and evolution. Throughout 124 entries, the Encyclopedia advocates an integrated, interdisciplinary approach to the study of child development. 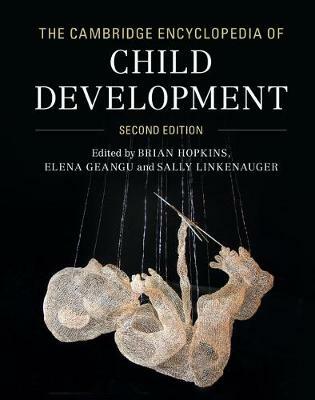 With clear, jargon-free style and user-friendly format, this is the essential reference for researchers and students of child development, as well as healthcare professionals, social workers, educators, and anyone interested in the well-being of children.